In a nutshell, Nexame gives you a full analysis of the last 800 tweets in your Twitter timeline. It gives you a snapshot of what is being said, what is trending, and what is being discussing in your online community. 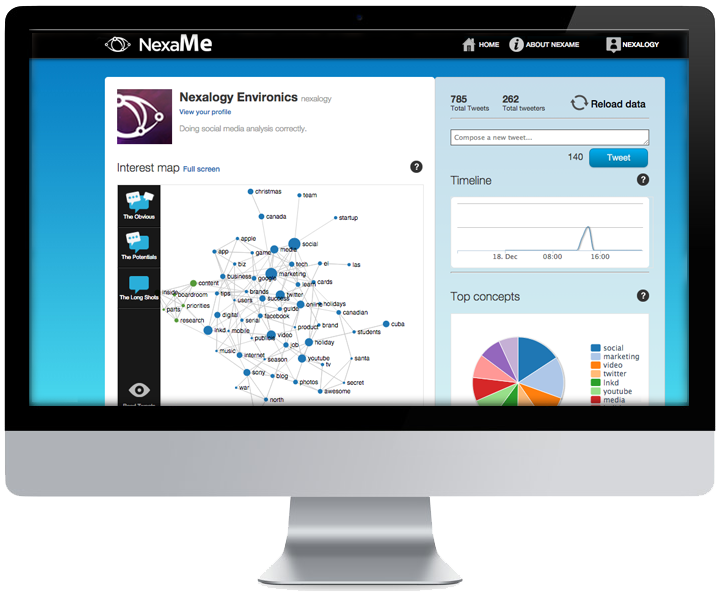 Login to NexaMe to better understand your community and its interests. Visualize trends, interactions and major players. Identify and interact with key people and ideas in your network. Nexalogy helps you navigate the torrents of information online to find the streams of conversation relevant to you. Learn more about Nexalogy.